I can't believe that I am now no longer a student at Sheffield Hallam and I going in to the real world! It makes me so emotional thinking about the fact that my four years at Uni is now over and I will no longer be studying for my degree in Event Management. Although I'm sad, I am kind of looking forward to the future. 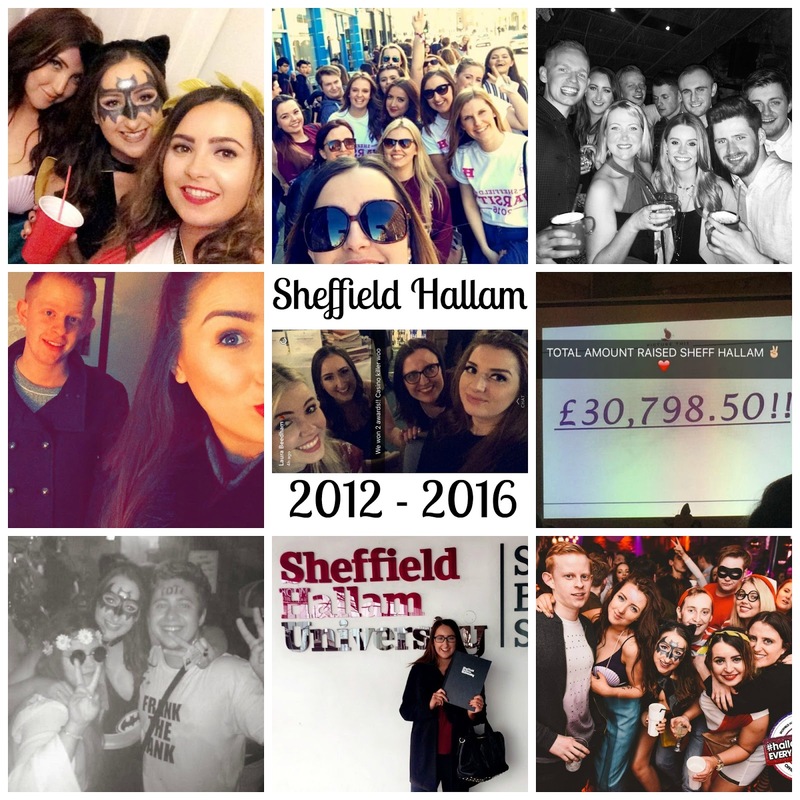 The memories I've made at Hallam will stay with me forever, as will my friends. It's not been the easiest four years I'll be honest, but I got through the tough times and have met the most amazing friends and an incredible boyfriend, so all in all I'd say I did pretty well, don't you think?! These last few weeks have been tough, a lot of pressure and numerous breakdowns, but all in all, it's been worth it and now I can relax on holiday celebrating with the girls! Unfortunately for me though, there isn't much time for relaxation because a few weeks ago I landed my first graduate job, which was surreal and nerve racking to say the least! It's scary to know that this is the start of my new life and career! My boyfriend and I are looking for our first flat together too which is exciting so hopefully things start falling into place! THANK YOU SHEFFIELD HALLAM, YOU'VE BEEN AMAZING!